This kit makes a great burglar alarm for your home. 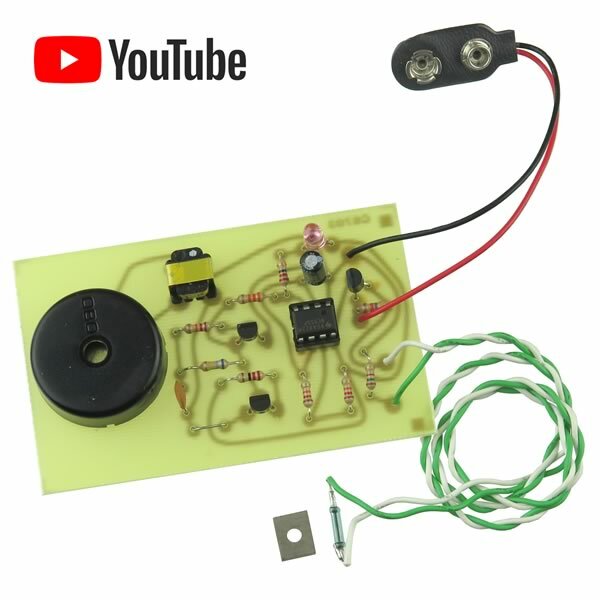 Whenever ayone attempts to open your window, this kit produces a loud pulsating electronic sound from the built in piezo speaker and it also flashes a bright red LED. The sound won't stop even if the window is closed again. Only you can shut it off. The kit will protect a window or door. It is very simple to install as only a small magnet (included) needs to be attached (glued) to the movable window or door. Uses IC, SCR and transistor circuitry. Operates on a 9V battery (not included). Size of PC board: 2 1/8" x 3 7/8". Complete with all parts, PC board, reed switch, magnet and instructions. Skill Level 2. This kit requires soldering of components to the PC board while building.